Often by the time summer break comes, we are tired and just want to sit back and relax ALL summer. As far as goals go, relaxing pretty much covers it for us! However, rather than just letting those months fly by aimlessly, why not plan on making summer count? 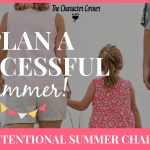 As enticing as a summer with no plans or structure may sound to your tired mind and body, I have found from personal experience that a summer of no routine and no goals was NOT a good idea! Kids quickly got bored, bad attitudes became the norm, and the house was often filled with complaining and bickering. Not my idea of a good way to spend our summer! 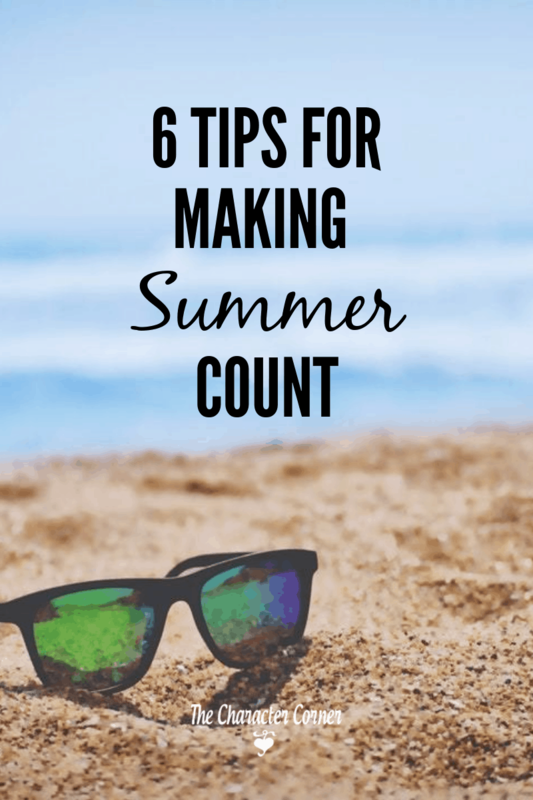 How can we relax and enjoy summer, while a;so making summer count? 1. Have a routine to your days. Kids function much better when they have a daily routine to guide their days. They won’t mind the fact that jobs or reading are part of the routine, if they know it ahead of time. 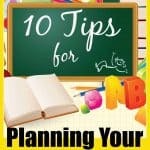 For my kids the problem began when I would just spring things on them, when they had already made their own plans for how they would spend their day. In the summer, I think it’s great to give them lots of free time that they can spend how they choose, but it should still be within the confines of a routine. 2. When planning the routine, make sure to include your priorities. 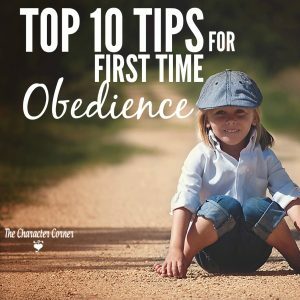 For us, this meant that kids who were able to read the Bible on their own, had a quiet time each morning right after breakfast, for about 15 minutes. 3. Schedule time for reading. Depending on the ages of your kids, this can be family read aloud time, or kids can have a set time to read quietly. 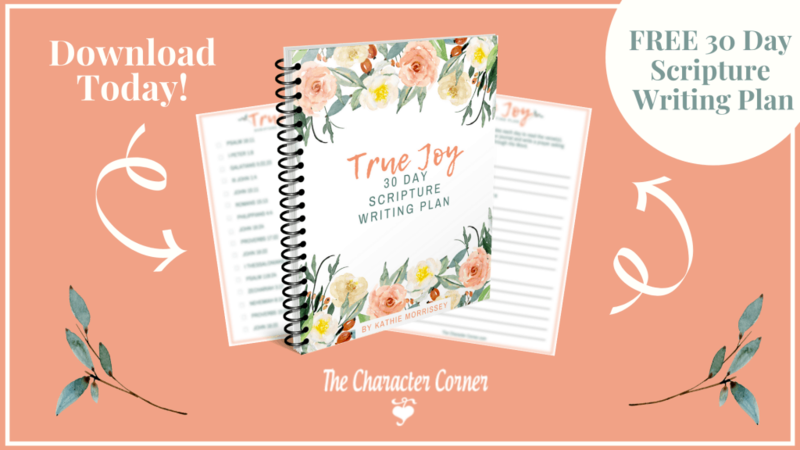 Scheduling two separate reading times is great, so you can do both! To encourage reading, sign your kids up for a reading program at the library or Pizza Hut. 4. Schedule in time for chores. Find a chore system that works for your family, and have a set time when everyone is working on their jobs. This way work can be done together, which is always more enjoyable. It also allows for training time of younger ones by Mom, or an older sibling working with them. 5. Schedule in time to serve. Find something you can do together as a family to serve others. This could be visiting widows from the church, or going to a nursing home and singing for the residents, or giving them pictures the kids colored. 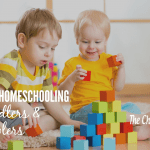 If your family is large enough, or you have another homeschooling family you are friends with, consider planning programs the kids can do at the nursing homes. Other ideas would be helping if there is a need for cleaning or some other work at your church; doing something to help an elderly neighbor, taking a meal to a new mom, or offering to watch her kids for a few hours. If you get excited about serving, your kids will too! There is a joy it brings, that will make them want to do it again. 6. Schedule in time for fun. I would suggest sitting down as a family and getting ideas of what the kids would like to do during the summer. 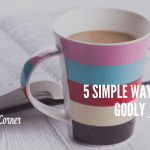 You might be surprised at some of the simple things they come up with! Game nights, baking, bike rides, a trip to the park, etc. Focus on winning and keeping the hearts of your children this summer. Schedule family fun activities, and also give the kids free time daily for their own choice of activities. Having a nice mix of routine and worthwhile activities, along with some free time is a great way to enjoy the summer, and make it count! 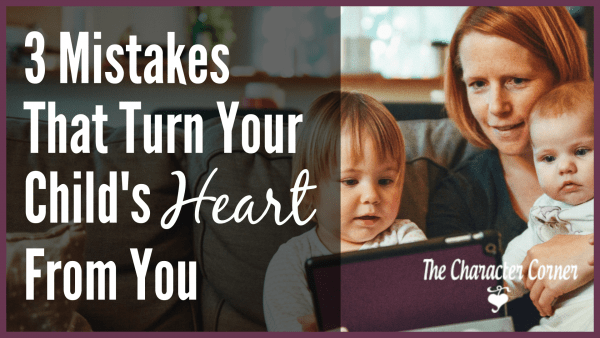 Grab this free list of 25 activities to do with your kids to make strong heart ties, and 15 things you can do to keep the relationship strong. 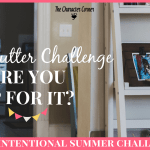 Are You Up For A Declutter Challenge?